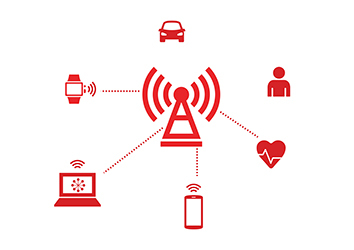 Connected devices or IoT seem to have become the de facto solution for any industry, today. An increase in connected devices leads to increase in the amount of data transferred, stored, computed, and consumed across networks and devices. This propels a need for an efficient data management and data security. IoT device lifecycle management (DLM) plays a key role and enables industries to manage its connected devices with ease, and at the same time provides additional advantages like data security, remote control, and multi-protocol connectivity etc. IoT Device Lifecycle Management is aiding industries to transition their systems to “Smart” ecosystems. It plays a much important role in enabling a broader view on entire device infrastructure, says Mohit Bhardwaj, Digital Marketing executive, eInfochips. Smart grid is the adoption of ‘Smart’ technologies in the expansion of Transmission and Distribution network, enabling a demand-based power supply production. Smart technology enables optimised utilisation of energy resources by providing real-time insights on energy consumption, with the help of smart metering and automation at the distribution end. Smart meter is a device that periodically stores the electrical energy consumption data and intimates the energy provider in a timely manner for monitoring and billing. Unlike previous metering methods, smart meter has more advanced sensors, power consumption notifications, and by-directional communication between the meter and energy provider. At present, government regulations are changing towards energy conservation, motivating consumers towards smart metering. Device Lifecycle Management enables smart metering through AMI (Advance Metering Infrastructure) system. AMI is a system which enables two way communication between utility provider and consumer. The consumer can manage his energy consumption through the system, which will continually show them energy utilisation for every device connected to the AMI System. A home area network (HAN) for communication between devices, enabling a wide range of protocols and standards. DLM has a data analysis system providing an in-depth energy consumption analysis for each device connected in the network, accordingly it helps the consumer to plan their energy utilisation in a cost effective way. Consumers have control of devices through mobile applications, so they can utilise and manage energy by scheduling up-time for each device. AMI + HAN + DLM resulting into a Smart Grid System. AMI system periodically sends data about load variations and peak time of maximum energy utilisation by the consumer to utility providers. Through DLM, utility provider can point out customers’ peak energy consumption time, consumers can focus on the devices those are running on that time period and manage them accordingly. Energy distributor can incorporate data analysis and get insights into monthly consumption of consumer, load variations, and peak load timings. Accordingly, utility provider can enable a dynamic pricing for consumers during the peak hours. By way of load analysis, the utility provider can also get insights into the times of heavy energy usage and send notifications to the customer about the peak in usage and in turn the customer can manage the energy usage or can check for any malfunctions in the devices at the consumer end. This will help with excessive usage and also identifying faulty devices. Smart Building is centralised control on building utilities like heating, air conditioning, lighting, security, alarm system, etc. IoT Device Lifecycle management plays a key role in smart building design and facilitates user comfort, energy efficiency and increase in device lifecycle. Smart building includes building automation through networking, communication protocols, sensors/actuators, IoT gateway, ventilation control, HVAC system, and other electronics devices for monitoring and control. How IoT gateway playing role in smart building?? In building automation, first stage is sensors and actuators data input, all sensors are equipped with wire or wireless protocols (Bluetooth, ZigBee, Z-wave, LAN etc.) for communication with IoT gateway. IoT Gateway provides interfacing between Sensors and cloud forming a bridge between them. It enables device software updates, device on-boarding, control panel, diagnostic information etc. Real time data analysis from devices or sensors and provides necessary output or command message to the control system. Message can be an alarm, HVAC control message or other utilities management commands. IoT gateway enables data analysis for each device. The User can utilise energy efficiently by scheduling device up time and down time according to data analysis. It is enabling building automation or smart building implementation easy and reliable. It enables security through layered security system (TPM & TEE, authorised connection, no third party inclusion), which covers both data and hardware security. DLM enables remote control on building utilities like lighting, alarm systems, HVAC system etc. HVAC System: Heating, Ventilation, and Air Conditioning (HVAC) is a system which is so common in current technologies of building construction. 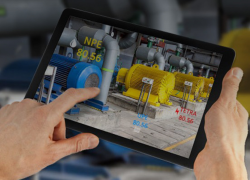 DLM enables remote control of HVAC system with real time data analysis. For example, if the sensor data are showing a drop in temperature then DLM will control the air conditioning according to the required temperature. DLM controls pneumatic and hydraulic valves (Ventilator, Water Piping) by sending control signals to actuators which results in the complete mechanical control of the cooling air/water flow in the building. DLM offers centralised alarm system for fire, gas leakage, humidity, temperature, etc. All alarm systems are remotely controlled and user gets real time notification if there is an alert. It enables control of the lighting system of the building by changing their intensity according to the daylight. Input from the photovoltaic sensors and DLM data analysis results into the output control signals for lights. DLM provides device authentication and verification whenever there is an updating of the system. It enables a secure environment with a layered security system, hardware, data, and software. In summary, IoT Device Lifecycle Management is the key growth driver for many industries, today. As in the cases explained above, it helps stakeholders on both sides of the equation – the consumers and service providers. eInfochips has been helping many Fortune 500 companies with IoT Gateway and DLM engineering solutions and services, to quickly transition the existing devices and legacy systems into smart systems. What drives the trend to increasingly smarter buildings?